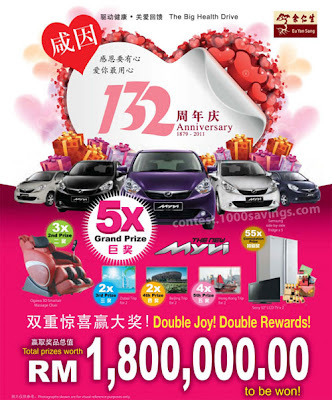 Every RM132 purchase at Eu Yan Sang outlets will entitle you to get a scratch & win card for instant rewards. You will get a contest form for a chance to win big prizes. Visit Eu Yan Sang website for more detail. just found out they have their website totally revamped, the new design is so much better than the old website. even the 404 website look so cool.